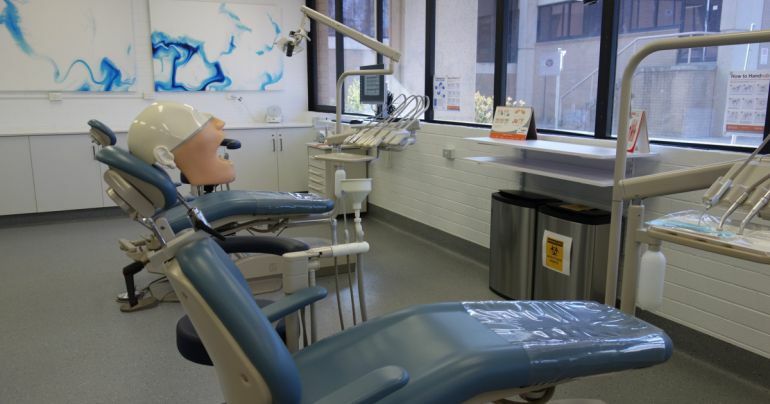 A state-of-the-art dental clinic has been opened at CIT Bruce, showcasing a transformed authentic training space which will support growth in dental assisting careers and jobs for Canberra. CIT CEO Leanne Cover said a skilled dental workforce is vital in providing high quality, affordable dental care in the Canberra Region. "At CIT we are ensuring our students have access to the best learning environment and are able to maintain high standards to assist dental health practitioners," Ms Cover said. The new facility will skill the dental workforce of the future and will greatly benefit the healthcare sector and the residents of the Canberra Region. With Canberra's population growth on the rise, demand is increasing for health services. To help meet this demand, the expanded facility will enable CIT to double student numbers and offer more programs. CIT's expanded facility has the most up-to-date equipment and resources, ensuring students are job ready and equipped to provide high standard customer-centred care. Learn more about CIT's Dental courses: Certificate IV in Dental Assisting (Radiography) HLT45015 and Certificate IV in Dental Assisting (Oral Health Promotion) HLT45015.